Q: How much does it cost to book Music Mixers? A: Each event is priced according to our client's needs. It will depend upon the date, number of hours you need, and location. As a service to you, we will generally offer a few options to help you select the best package based on your needs. In general, we make sure to offer a price allowing you to get more from us in value than what you spend. certified checks, money orders and cash. The final payment is due two weeks prior to the event. A: Absolutely not! Your contract will specify what you're getting from us. You also do not pay anything extra for setup or breakdown. Those hours are included as part of the package. Any other fees would be for added equipment and/or time and will be disclosed to you. Q: Who will be the DJ for my event? A: Unlike some of the larger companies, we are a 2 person company; not a DJ service employing a bulk of inexperienced people. We have performed at hundreds of weddings over the past years. When you book Music Mixers, you speak directly with your DJ avoiding any chance of miscommunication and allowing you the chance to build a relationship ahead of time. As an upscale disc jockey entertainment provider, we respect the importance of your event and dress appropriately. You have the comfort of knowing the same person who has planned with you will be the person onsite at your event with full knowledge of your expectations. Q: Can we meet with you and see you live? A: We meet with clients on an appointment basis. We are usually available on evenings Monday through Thursday. If that doesn't work, we will work with you to book a convenient time. At our meeting, we will discuss your event details and how we can help. Unfortunately, we rarely do public events. We never invite anyone to a wedding or corporate event. It is a courtesy that we extend to our clients just as we'd never invite a client to your event. Q: Can we give you a song list? A: You can give us as many songs as you'd like (or no songs). 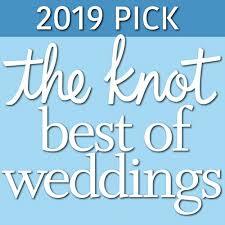 For weddings, we definitely want you to tell us what songs you need for your formals (like first dance, bouquet, etc). You'll also have access to our music database once you decide to become a client. But, don't feel like you must come up with a full playlist. Part of our job is to bring our experience to your event so you don't have to fully plan each and every song. to have something for everyone, so ALL of your guests are satisfied. We have music from the 1920s all the way to today. We also take onsite requests (unless you'd prefer we don't which does occasionally occur). We can provide classical music which we'll do often for wedding ceremonies. And, we'll work with you to arrive at a music list that suits your day so there are no unfortunate surprises. Q: We've never planned a wedding. Are you able to help us with the planning? Q: What is your policy regarding tipping? A: We believe that tipping is at your discretion. If you feel that we provided exceptional service and wish to give us a monetary tip, we are certainly grateful, and happy that we were able to exceed your expectations. However, it is not a requirement. Just like any other service, tipping is solely up to the client. As professionals, we work hard to ensure you have a great day regardless. Q: What do you need from us on or before our event? A: For weddings, we'll need you to complete the wedding plan which can be done online. This plan is our blueprint and we'll use this to help us design and plan your day. We'll go over the plan about a week or so prior to your big day. Final payments are due 14 days prior to your wedding. For the day of the reception, we'll need an 8 foot table with linen close to an 110v 15 amp wall outlet. A: Pioneer and Numark mixing boards with QSC speakers is our norm. We regularly replace our equipment so that nothing is out of date. Our existing equipment is maintained regularly. In addition, we have backup equipment to avoid any possible equipment malfunction.